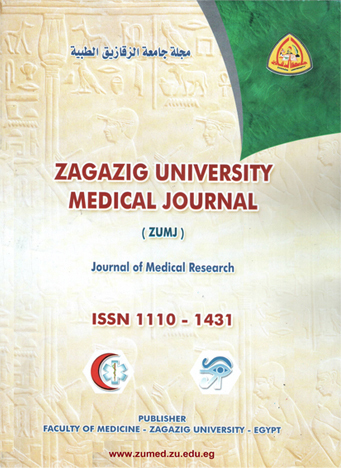 Otorhinolaryngology-head and neck surgery department, faculty of medicine, Zagazig University. Background Anterior nasal packing after septoplasty, when performed, it aims at reducing the risks of postoperative bleeding and hematomas formation; however, the demerits of anterior nasal packing motivate the idea of septoplasty without nasal packing. Objective: To assess the value of anterior nasal packing after septoplasty. Type of Study: Randomized clinical trial. Patient and Methods: This study was conducted on 50 patients who underwent septoplasty in one institute by the same surgeon (the senior author). They were randomly divided into two groups, in the first group postoperative anterior nasal pack was performed, in the second group there was no packing. Evaluation of subjective symptoms and physical finding was performed at three stages, early postoperative stage (at first and third day), 7 days, 2 weeks, and 2 months after surgery. Results: In the early postoperative stage, the first group experienced less feeling of pain, 2 cases in the second group experienced severe nasal bleeding that requires overnight admission and the bleeding was controlled without packing; also, sensation of pain, lacrimation, swallowing difficulties, and sleep disturbance were significantly higher in the first group in this stage. At the 7th day, the 2nd week, and the 2nd month after surgery, the prevalence of granulations, infection, and crust formations, respectively, were significantly higher in the packing group. Conclusion: Septoplasty without postoperative anterior nasal pack is more compliant with less postoperative morbidities. Packing should be preserved for patients with excessive bleeding during the primary surgery.